We take our time because we refuse to deliver any material that is short of perfection. A well-designed website is worthless if it does not function flawlessly. As Bahamas Web Solutions professionals, we will have your website running effortlessly; void of errors, slow loading times, and lack of scalability. 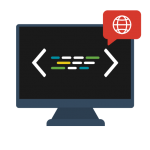 Our team of web developers have years of experience building websites that are error free, responsive, lightening fast, and scalable. Not only do we deliver incomparable web development and design, we also aid in keeping traffic flowing to your site. Whether you have complex functionality on your website or simple static information, a CMS (Content Management System) should be mandatory these days. So much time (and money) is wasted doing things the old way, where a business would ask their Developer to make updates for them. 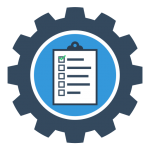 We have no problem making updates for our clients, however we take the time to educate our clients with in-depth tutorial sessions of how they can make updates on their own. Whether you’d like to change a photo or rewrite some text, you should have the ability to do so. We have worked with all popular CMS Platforms including WordPress, Drupal, and Joomla. We’ve even developed our own Bahamas Web Solutions CMS Platform for client with very specific functionality requests. Depending on your overall website goals, we would make a recommendation of which CMS is right for you and your business. Responsive website design and development ensures that your site works flawlessly on all devices. Mobile usage has recently surpassed desktop usage, so if your site doesn’t work well on mobile phones you’re missing out on more than half of your potential customers. 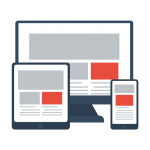 All of our websites keep mobile in mind from the start, and we always use the latest technologies to ensure that your site looks great on mobile, desktop and tablets. Our development process allows us to create amazing looking sites that load lightning fast across all devices, even mobile devices with limited internet speeds. Device sizes are always changing, but luckily with a responsive site you don’t have to play catch-up. Our sites make sure you’re prepared for the future of the web! Turn your website into a virtual storefront. If your company is selling a product, an online store is a necessity for your website. 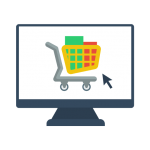 We will create a user-friendly and easily-managed store for your customers to shop in 24/7. Your store can include reviews, social media integration, such as a “Like This” and “Tweet This” button for individual products, as well as user accounts, allowing customers to save their shipping and billing information, making future purchases more convenient.